The cathedral was built in honor of St. James in 1722 and in it there is an altar decorated with a painting of Lucas Cranach the Elder which dates from 1520. In this Baroque church, which is decorated with rococo stucco, the pulpit, the organ and the picture of Mary Help of Christians, by the painter Lucas Cranach are outstanding. 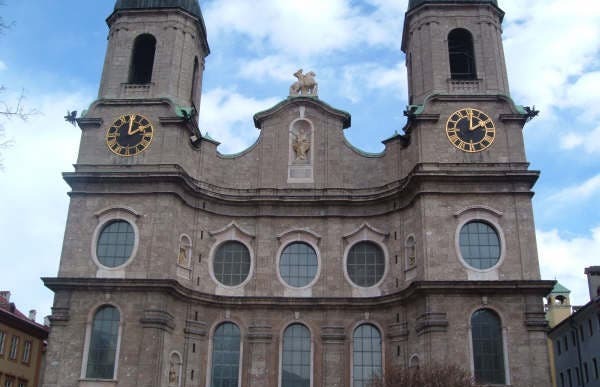 I only saw it from outside as I was on a flying visit to Innsbruck, but the cathedral was really beautiful. The city of Innsbruck itself is cozy, the people very friendly and I really enjoyed my short time there.